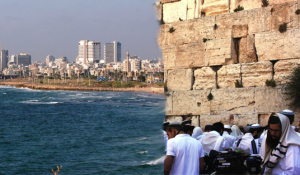 Israel: The eleven highlights you DON’T WANT TO MISS! The Most Exciting Land in the World: Israel’s extraordinary history and rich religious heritage set her apart from all other nations. Her landscapes are also unique, for nowhere in the world is there another country so small with such diverse scenery. But, above all, it is Israel’s breathtaking history that makes her stand out among nations. Ruled by foreign powers for two thousand years, Israel today is a vibrant, modern miracle that has to be seen to be believed.